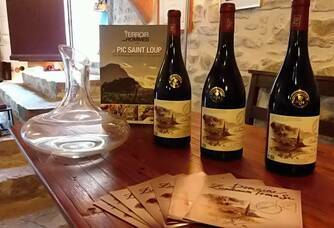 The Domain Our estate is located in a typical village of the region, Claret, on the path of Les Verriers, 3 kilometres as the crow flies from Pic St Loup and halfway between the Mediterranean and the Cévennes. 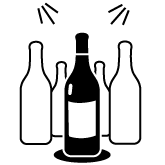 The vineyard therefore benefits from a Mediterranean climate and extends over a clayey-limestone soil. Just before the small village of Claret, a cypress tree stands above the village of Claret. The Domain Our estate is located in a typical village of the region, Claret, on the path of Les Verriers, 3 kilometres as the crow flies from Pic St Loup and halfway between the Mediterranean and the Cévennes. The vineyard therefore benefits from a Mediterranean climate and extends over a clayey-limestone soil. Just before the small village of Claret, a cypress stands above the fields and meadows. 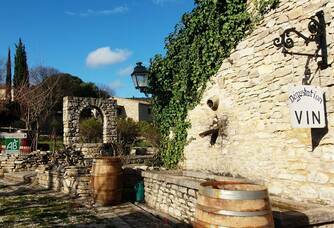 Here, just next to a stone mazet, typical of the region, lie the 17 hectares of vineyards of Domaine Zumbaum-Tomasi. The latter uses 80% Syrah and Grenache noir, 10% white grenache and 10% Roussane. The scrubland is omnipresent throughout the vineyard, the vegetation is composed of different species, such as Holm oak, Aleppo pine, arbutus, juniper, thyme, bay, cade and rosemary which compose the olfactory palette of Domaine Zumbaum Tomasi wines, as well as two thoroughbreds from Schleswig are used in the vineyard. In the heart of the old village and a stone's throw from its 11th century Romanesque church, stands a superb landscape of vines and scrubland surrounding our 47 hectares of land. 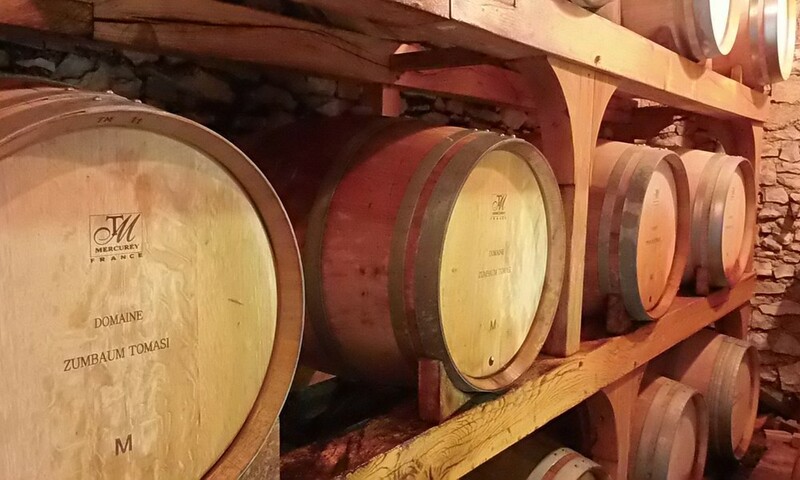 The more than 200-year-old cellar, renovated according to the rules of the art with each stone of the vineyard, houses all the wine-making equipment; the installations, stainless steel tanks and cellar, necessary for the elaboration, bottling and storage of the wine. 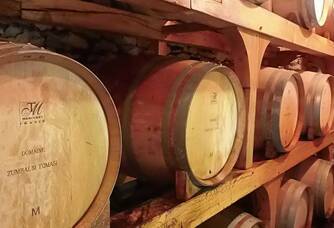 The estate has its own bottling line, it is then stored in the freshness of a beautiful vaulted cellar. The barn, where the two purebred horses used to live at the beginning of the farm for ploughing were once housed, has now been renovated into a magnificent cottage in the middle of a half hectare olive grove. 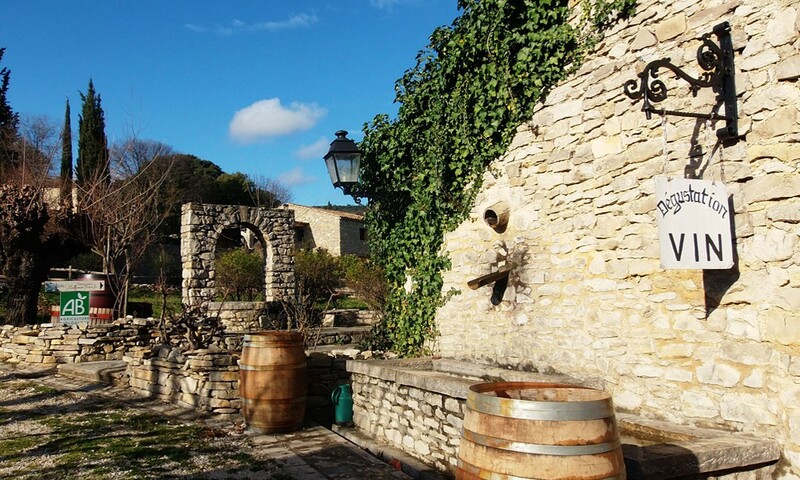 The cellar brings a certain authentic conviviality to the tasting of its organic wine, a typical atmosphere emerges from the stone walls, one can easily feel the love and passion of which, Mr Zumbaum, surrounds his estate. 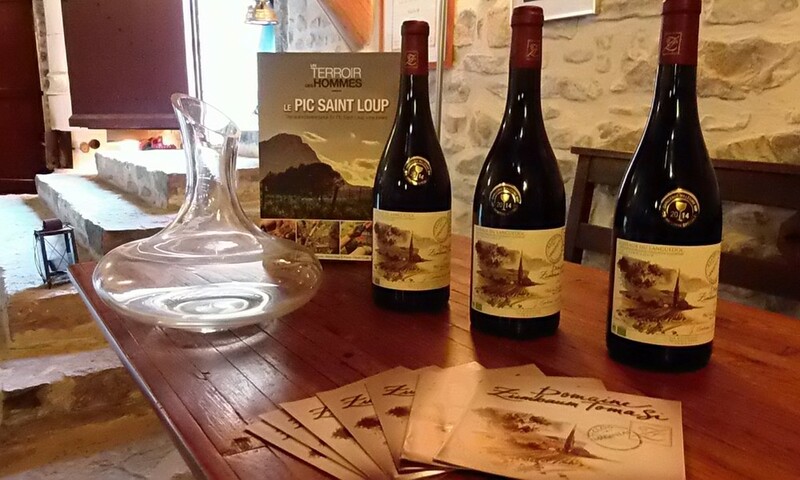 The wine has the labels of Appellation d'Origine Contrôlée du Languedoc (AOC) and Appellation Contrôlée du Pic Saint Loup as well as the organic agriculture label and certified by ECOCERT. A meeting, a passion, the beginning of a beautiful story Shortly before 1966 Jorg Zumbaum arrived in Montpellier for his studies at the University of Law and Medicine and literally fell under the spell of the Pic St Loup region. At that moment his innate passion, his deep respect for nature and his admiration for French wine was revealed during a stroll in Claret. This son of a veterinarian from East Prussia, grew up in a village in contact with farmers and animals. So the earth is not a discovery for him. "At the slightest opportunity, I come to help in the vineyard. "In 1987, a shepherd offered him 25 hectares of land at the entrance to the village. Not knowing what to do with it, he then learned that he could plant. 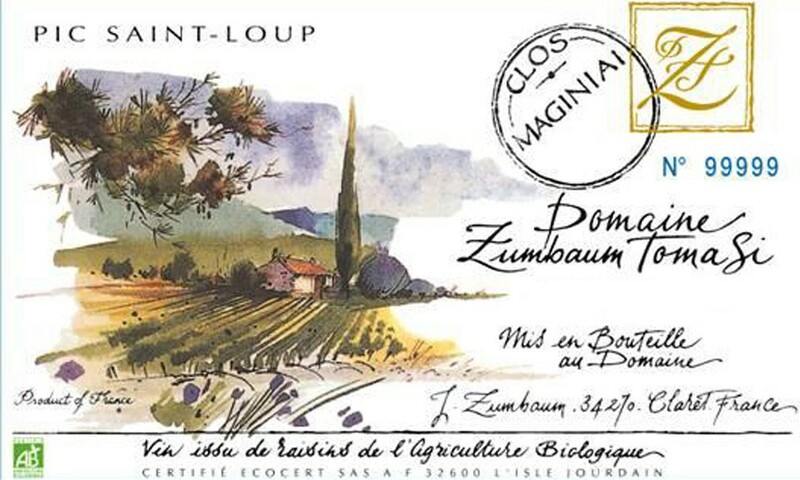 Having always appreciated French wine, Mr. Zumbaum decided to produce his own wines and sell them. Once the sheds and barns had been renovated with each stone dug up from the vineyard, thanks to the meeting with Azeddine, our current manager, who became a winegrower and manager of the estate, a sacred development for this stonemason, a native of the Ardennes. They had the same spirit; to create an exceptional estate without even thinking of any commercial strategy. Especially since this domain was never designed to generate any profit ñ or even a source of glory for its owner, but rather for pure pleasure ñ the reflection of an ethic. To go all the way together with a deep respect, a total trust, "to let Azeddine do it is above all the respect of living together, we, for more than 25 years, we have let each other the freedom by being convinced that it will be done as well as possible". All this in a common well-being for the village and especially for our land. Respect for each other has kept this story from the beginning, it's primitive. The most important thing that has brought us together and continues to this day is respect for nature. Despite all man's foolishness towards nature, it will always remain stronger. Because for this man allergic to the slightest waste that pollutes nature, organic farming was immediately a must, "even if it meant sacrificing a portion of the harvest, as in 2002, the year of mildew. » In 1989, Mr. Zumbaum acquired a piece of land and an old vineyard. He submits a 4 hectare planting application to ONIVIN. The latter was accepted in 1992 and the first Syrah and Grenache vines were planted. In 1995, the cellar was built and the equipment purchased. That same year, the estate switched to organic farming, classified in the prestigious AOC Coteaux Pic St Loup appellation. "Changing this small village, making it evolve until it becomes like a lighthouse is necessary for the seaport, imposing organic farming in the middle of this exceptional garrigue". "We tried to create something when this little village was lost when I discovered it in 1970, there was absolutely nothing. "I see in Claret, the chance for this village to relive life through organic farming. Through the development of the estate, hope for a cosmopolitan life where it would be nice to live. 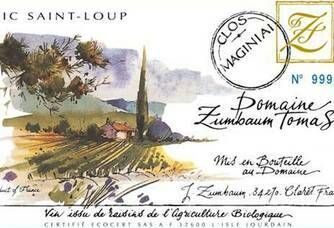 That organic farming is now one with the village is the environmental message that Mr. Zumbaum wishes to convey through his cuvée "Le Clos Maginiai". With all the beauty of this region, we wanted to be in symbiosis with nature. A very simple example of our ideology in this area is that we are planting a tree today that will not grow, but it will be big and strong for our future generations. The earth is one of our greatest resources, we must respect it, listen to it and preserve it, understand it and feed it intelligently through our organic farming. 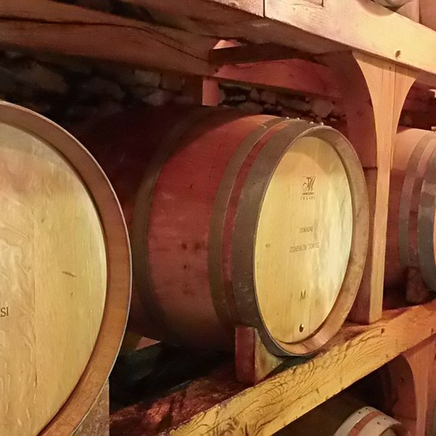 1997 is the year of the first harvest, which will give 8000 bottles of a high quality wine. The entire harvest will be sold. Today, 80% of production is exported to other countries: Germany, Holland, Belgium, the United States and Canada. And the specialized guides are happy to echo a flawless journey. 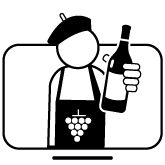 "After 17 years of winemaking, I am well trained and taken seriously. The oenologist says the good Lord is with me. My secret is hygiene. And then I talk to my vats" confided our Cellar Master. Stone and wine are his two loves. "I immediately liked this perfectionist, hardworking, confident side," confided Mr Zumbaum about his cellar master Azeddine. " He was discreet, spoke little, but he acted effectively. "Through all the encounters I've had in two years, Azeddine was the only captain of the boat, her "Prussian" side had immediately thrilled me. 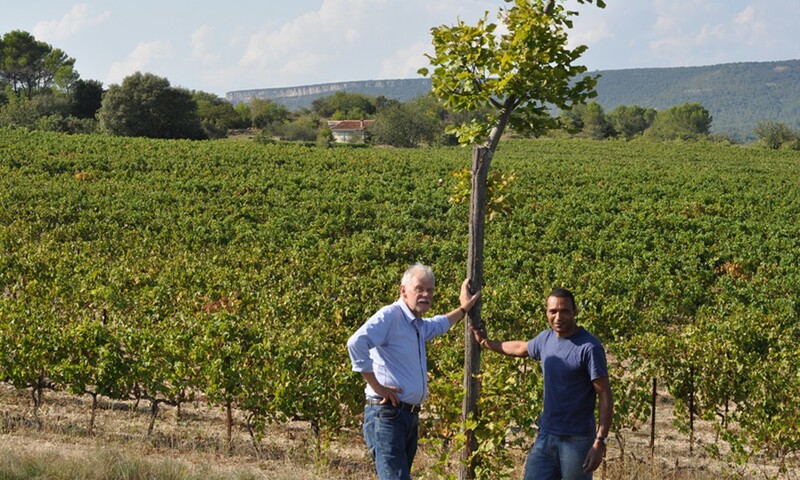 Our aim is sincerely to revive all the beauty of this country by bringing it together carefully, until it is bottled, hence the name of my unique cuvée "Clos Maginiai", which refers to the first lands acquired for the estate. The most important thing today is to save this nature, we are a tiny part of this rescue here in Languedoc. Everyone has to do something about it. This is what we have been doing on a daily basis since its creation through our cuvée. There is progress, we must continue it, it will be a long way, but when we look at this village 40 years ago, we can be very proud. We want to send a global message about protecting our environment because it is your generation that can make a difference.